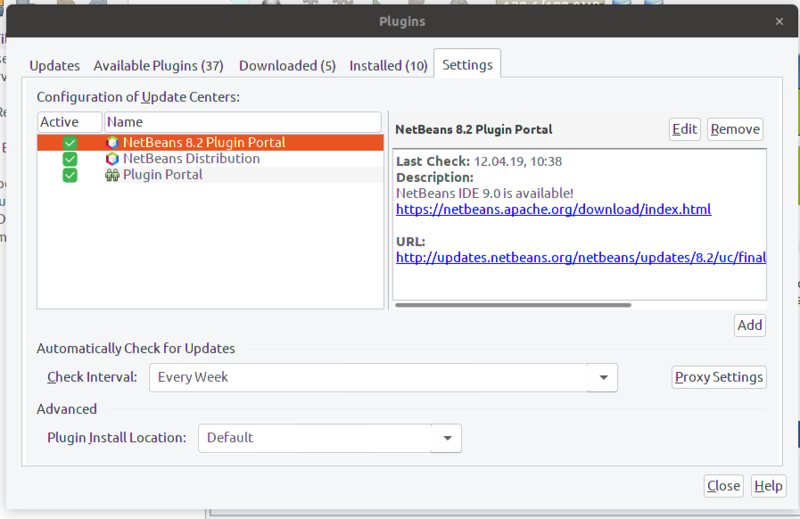 Apache NetBeans IDE 11.0 (Build incubator-netbeans-release-404-on-20190319) is missing the Wilfly server plugin. Are there any licensing issues as the Netbeans site suggest? Is there a workaround like manually downloading and installing the plugin? In the previous version (Apache NetBeans IDE 10.0) it was possible to use it by following a simple procedure. Unfortunately no. This used to work for Netbeans 10. Not for the new version Netbeans 11. I guess the reason is that the 'NetBeans 8.2 Plugin Portal' is not selected by default. 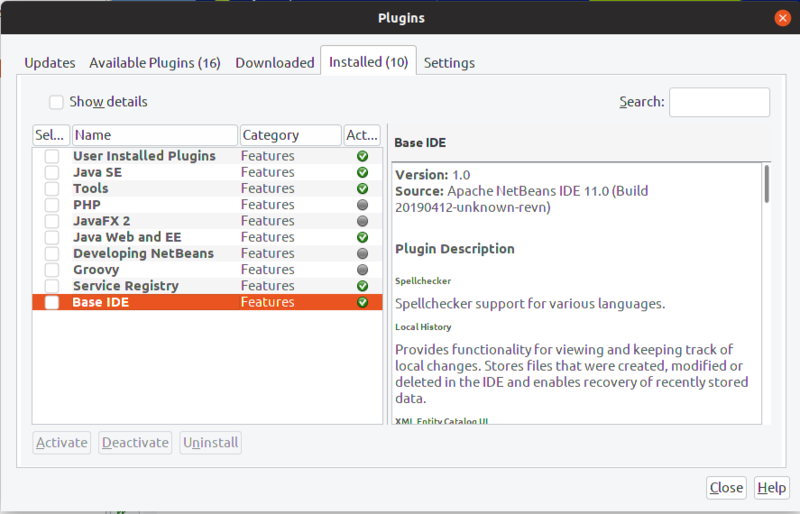 So if you select this Plugin and re install 'Base IDE' it should be OK.
What I am trying to say is that the 'NetBeans 8.2 Plugin Portal' is apparently not selected in the 'Plugins' panel when installing Apache NetBeans IDE 11.0. That's why the Base IDE is installed without JBoss/WildFly-Support (eg org-netbeans-modules-javaee-wildfly.jar). Therefore if you uninstall the 'Base IDE' Plugin, then activate the 'NetBeans 8.2 Plugin Portal' and then install the 'Base IDE' Plugin again it should be OK.
At least this worked in my environment. Btw. I am only refering to "Plugins"
official rather than break my work with possible random ide errors. There are licensing issue with the schemas and code from WildFly. This should be resolved soon. then we will be able to move the code back in Apache NetBeans 12 I hope.